The app runs Android 5.0 and up, has language support both for English and Filipino and is usable on 2G and 3G networks. In a bid to increase its monthly active users (MAU) in the developing markets where internet connectivity is poor, Twitter has started testing an Android app called 'Twitter Lite' that uses less mobile data to work. Twitter, which has over 328 million total monthly active users — 68 million MAU in the US and 260 million outside — said the app was currently in the test mode in the Philippines, Tech Crunch reported. The app runs Android 5.0 and up, has language support both for English and Filipino and is usable on 2G and 3G networks. 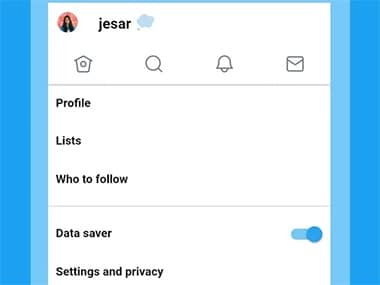 "The test of the Twitter Lite app in the Google Play Store in the Philippines is another opportunity to increase the availability of Twitter in this market. "The Philippines market has slow mobile networks and expensive data plans while mobile devices with limited storage are still very popular there. Twitter Lite helps to overcome these barriers to usage for Twitter in the Philippines," a Twitter spokesperson said. He said the app was "an experiment" and that Twitter was still evaluating whether to launch it in further markets. The app has basic functions such as breaking news, sports scores and entertainment updates and options to view Timeline, Notifications, the Explore tab, Messages and to customise profile.